HomeBlogsWhat are Physical and Chemical Sunscreens? What are Physical and Chemical Sunscreens? It’s never too late to start protecting your skin from sun and researching information about the active ingredients to determine which sunscreen is best for your skin. Adding sunscreen to your daily skincare routine, as well as being mindful of sun exposure, helps protect skin against from both types of UV rays. There are two types of sunscreens available in the market: physical sunscreens (often also referred to as “mineral sunscreens). Physical sunscreens : contain mineral ingredients in it such as titanium dioxide or zinc oxide, which work by sitting on the top of the skin to reflect and scatter damaging UV rays away from the skin. They are often referred to as physical blockers. 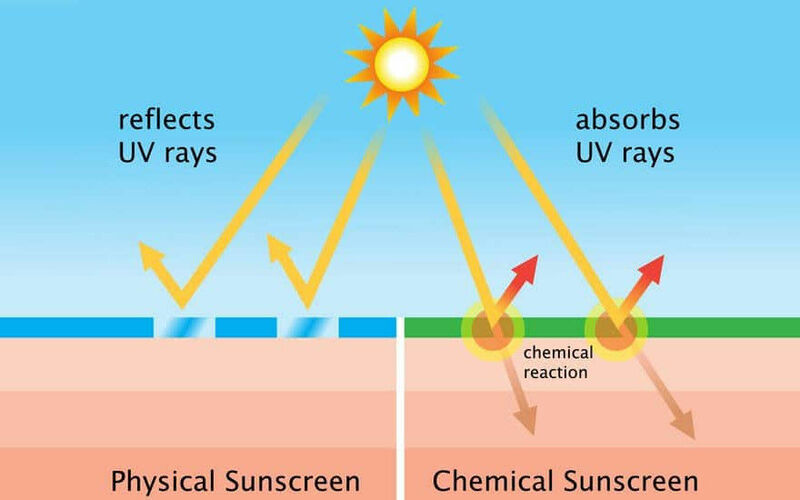 Chemical sunscreens : contain organic (carbon-based) compounds in it such as oxybenzone, octinoxate, octisalate and avobenzone, which create a chemical reaction and work by changing UV rays into heat, then releasing that heat from the skin. They are often referred to as organic absorbers. tend to be better tolerated by most skin types because the chemical ingredients used in chemical sunscreens can be irritating for many people. However, physical sunscreens tend to leave a white cast or white streaks on the skin after application and don’t offer as much UVA protection as compared to chemical sunscreen. Physical sunscreens are also a bit thicker so there may be more difficulty to applying. Since they each have their pros and cons, many of today's sunscreens contain both physical and chemical UV ingredients.